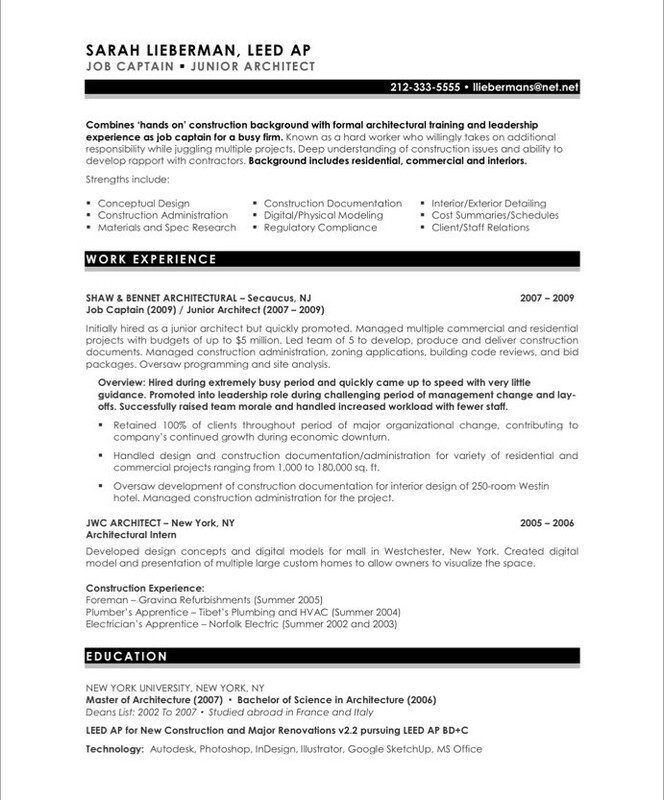 Notice the resume design – this bold but professional design can’t help but stand out when viewed among a pile of less striking resumes. (The black and gray colors were chosen to match Sarah’s online portfolio). Sarah only has 2 years of full-time experience, but in that time she had much more senior responsibilities than most people her age. We wanted to make sure that message came through loud and clear, hence the job description and overview statement. Notice the selective use of bolding to draw the eye to key points.